Posted September 29, 2016 by Jamie Apps & filed under Arts & Entertainment, Exhibitions, Gallery & Museums. Sydney is a rich, vibrant, bubbling city which we all live, work and explore in every singe day – but there is a section of our community who are often easily overlooked… the homeless. 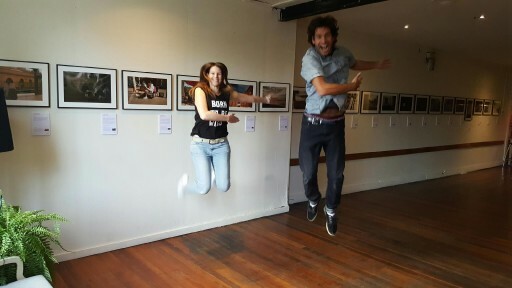 Cafe Art Australia aims to give this portion of our community a voice and means by which to tell their stories with a unique and gripping exhibition opening in Newtown this weekend. Earlier this year the organisation handed out 95 disposable cameras to individuals impacted by homelessness and asked them to take photographs of “their Sydney” over the course of a single week. Of the approximately 1200 photographs received back from the process, 400 were given to a panel of judges and 20 finalists chosen. It is these 20 finalists that will be at the centre of the exhibition alongside each participant’s story of their life and why they took each particular image. The exhibition is part of a platform enabling those impacted by homelessness to engage with the public directly, about something other than their predicament, namely about their art and about their lives. “A similar project was run last year on a slightly smaller scale and we were astounded not just by the quality of the images that the participants produced, but also at how powerful the response to the project was from both participants and the public at large,” said Michael Allwright from Cafe Art Australia. A Public Vote is being conducted at the exhibition to identify the 13 most popular images from the 20 on display. The popular images will feature in a calendar for 2017 which has an associated Kickstarter campaign also launching this Saturday, enabling people to make a pledge for the calendar and in so doing help support the ongoing work.